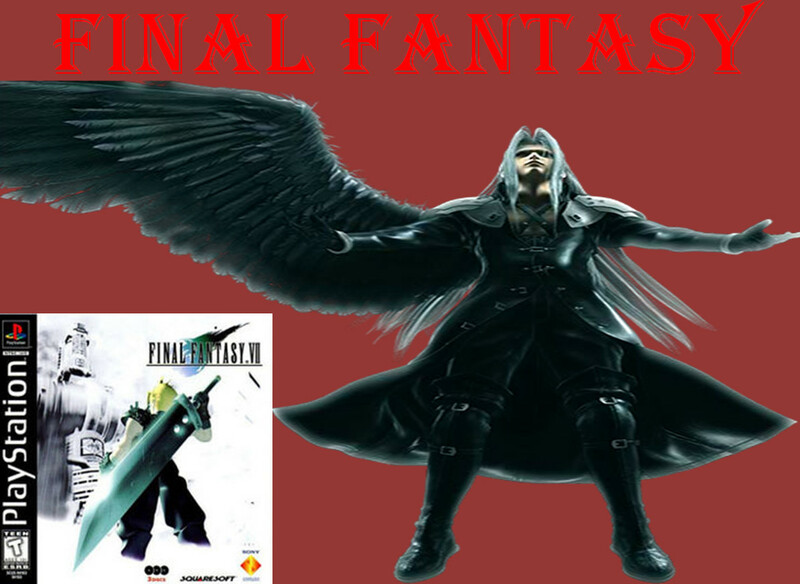 *Please read Final Fantasy and the Bible Part 1: Sephiroth-Another Jesus before continuing. Since the first article, we’ve discovered that some of the best evidence for Sephiroth being “another Jesus” is found in (arguably) Final Fantasy’s most iconic theme song-One-Winged Angel. *Note: Translations provided by the FFWiki community. There are several remixes of the song One-Winged Angel (OWA). However, we’ll look at what Final Fantasy composer Nobuo Uematsu (creator of the song) considered the definitive version-that in Final Fantasy VII: Advent Children. “Colette [one of the two interviewers]: The song “One Winged Angel” is very popular among game music fans, as is the character Sepithroth. Did you ever think you were writing such an important piece of music when you composed it. Why do you think fans focus on that particular piece of music so much? 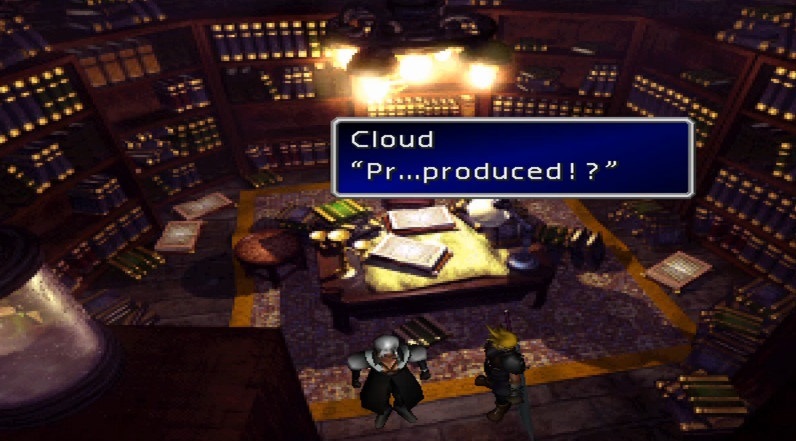 Uematsu: I don’t know why it had the effect it did. Obviously, every time you make music, you won’t know what the outcome is going to be. I didn’t know it would be that dynamic. I compose on a computer, and in this case I experimented with several ideas, putting them together and trying different things. When I’m writing, I’m actually making music in the computer. I’m not actually thinking about the orchestration when I’m only focused on composing. Does it sound weird to you? Colette and Dale: No, not at all! 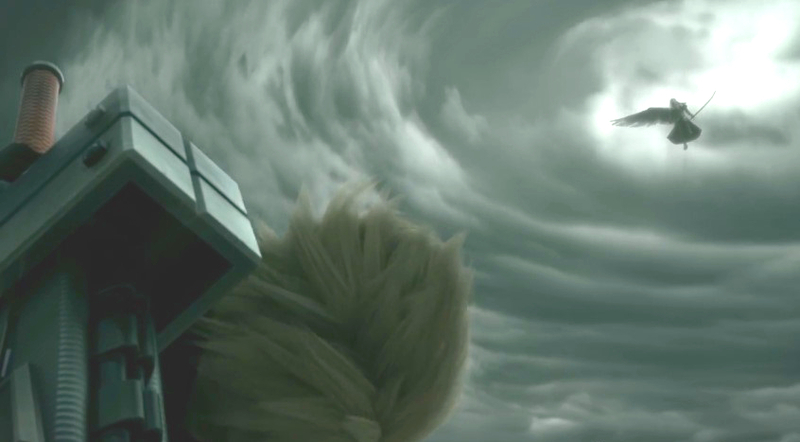 Mr. Uematsu says that the song One-Winged Angel “revolves fully” around the image of Sephiroth. Curiously, in Advent Children, both the song and the image of Sephiroth change dramatically. In this article, we will look deeper into the image of Sephiroth through the lens of God’s Word and Advent Children’s version of One-Winged Angel. The definition of the word “advent” is “coming” or “arrival,” and is often used in relation to Jesus Christ and and his birth (see advent calendars). The word advent is also used in relation to Jesus Christ’s second coming. So the phrase “second advent” in OWA literally means the “second coming”… of Sephiroth. However interesting this detail may be, the Biblical messages found in the literal translation are simply shocking. Now, you have to ask the question: Who is calling Sephiroth son? The answer is Jenova. 1. Jenova can absorb and mimic the traits and appearance of various beings. 2. Jenova can also implant it’s cells into a target, with effects ranging from turning victims into monsters, to controlling their minds and bodies. Jenova used these abilities through millennia to completely destroy the people of a planet, then use that planet as a vessel to “hop” onto another one. However, these tactics did not work on Gaia. 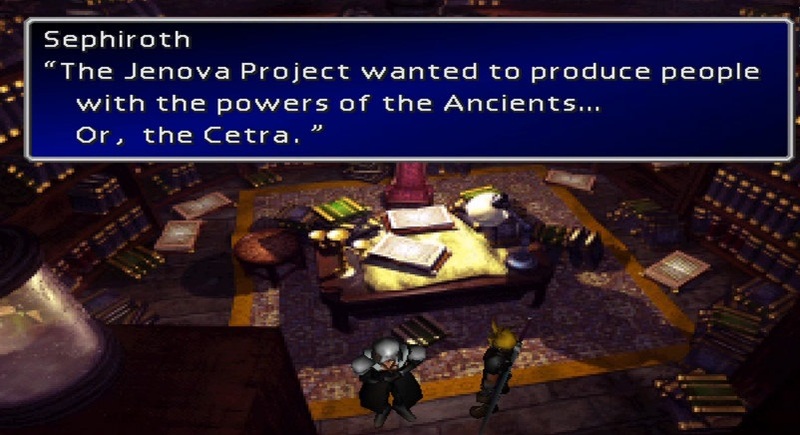 As explained in the cutscene above, in an effort to create another Cetra, Shinra implanted some of Jenova’s cells (no one knew of Jenova’s true origins at this time) into the unborn Sephiroth. This made him into something…Not quite human. Being (technically) a “descendant” of Jenova gave Sephiroth incredible abilities such as the strength to cut through almost any substance (even slicing through an entire building in Advent Children). He can act through and manipulate those who also contain Jenova’s DNA, fly, teleport, project thoughts and images into people’s minds, etc. 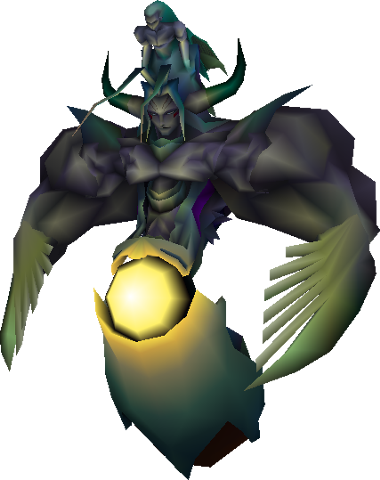 Not surprisingly, he becomes feared, respected, and loved by the people of Gaia (this was before Sephiroth’s betrayal). Sephiroth inspires many to join (or at least strive to join) the SOLDIER program (SOLDIER is the elite arm of the Shinra military). A fan club is launched in his honor known as the “Silver Elite,” which discusses facts such as what shampoo he uses (a custom blend consisting of, “thirteen kinds of perfumes, including Rose and Vanilla. Apparently, the scent in the air after Sephiroth tosses his hair changes daily!“) As he gains fame and renown, Sephiroth comes to be literally idolized. “And it came to pass, when men began to multiply on the face of the earth, and daughters were born unto them, That the sons of God [this is another biblical name for angels, see Job 1] saw the daughters of men that they were fair; and they took them wives of all which they chose [of course these angels are fallen, which is interesting considering Jenova crash landed onto Gaia]. And the Lord said, My spirit shall not always strive with man, for that he also is flesh: yet his days shall be an hundred and twenty years. 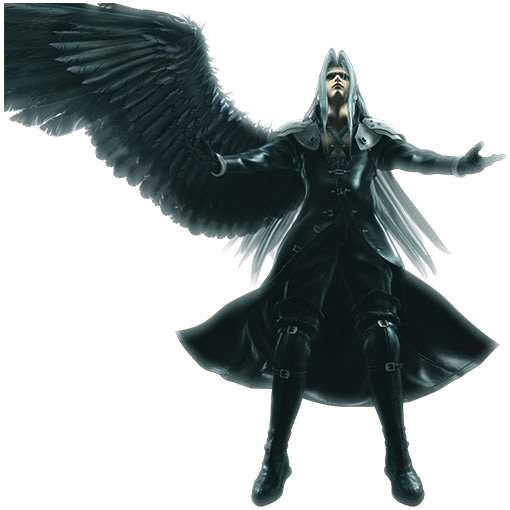 This is one way to look at Sephiroth-as a fallen angel hybrid (this explains his single black wing and Jenova’s angelic covering…). Jenova is just behind the angelic “doll” covering her. The second viewpoint is just as valid, and much more dangerous. Later, the pair head to Mako Reactor 1, the facility where Jenova is contained. 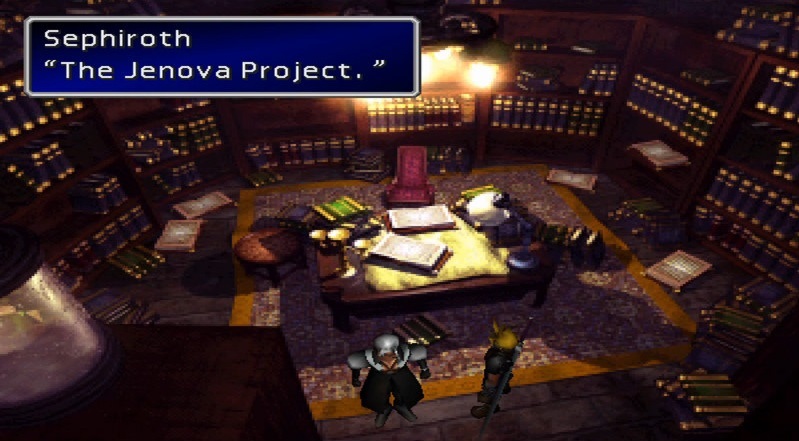 Notice the word “Jenova” engraved on the archway. 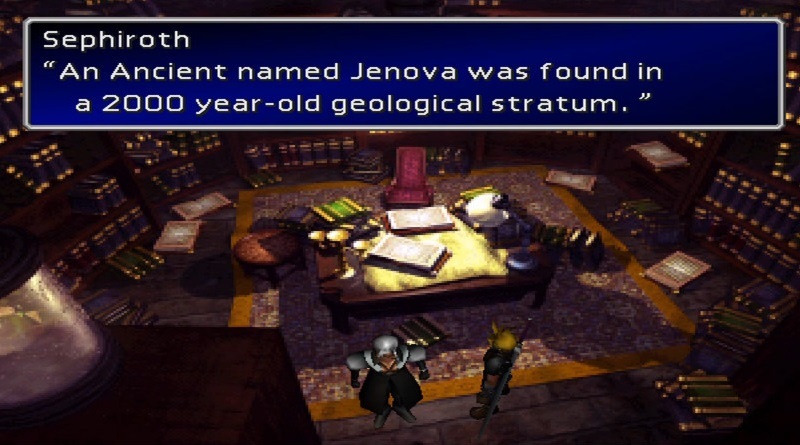 Zack notices the word, and remembers that she’s Sephiroth’s “mother.” At this point in the story, Sephiroth has not yet gone insane, burned down Nibelheim, or learned of Jenova’s true nature. Zack: “You said ‘average’ member. 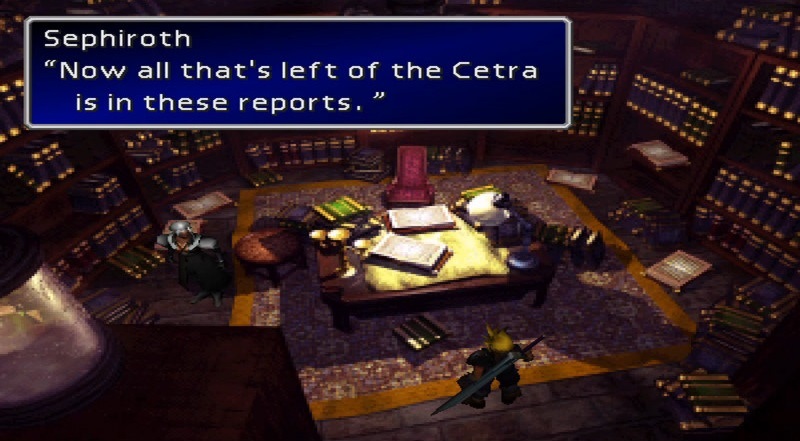 After Zack says this, Sephiroth cries out and begins to stumble around clutching his head. Zack dashes over trying to help, but is pushed away. 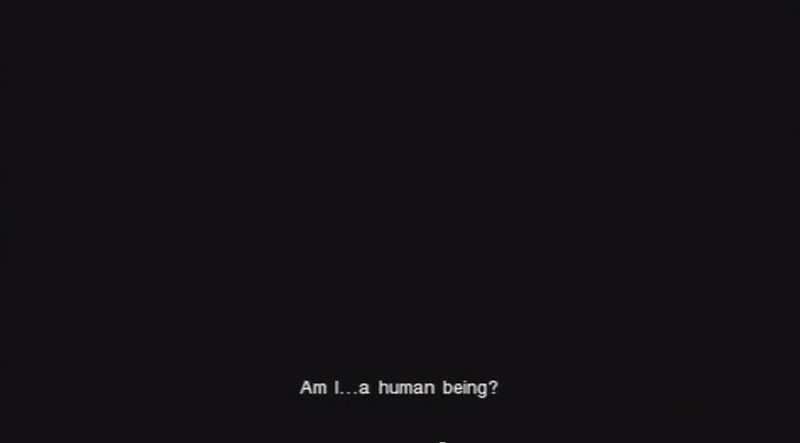 Sephiroth then begins to fully consider the implications of what he has just witnessed. The camera lingers on one of the “monsters”-a Makonoid. Makonoids are humans exposed to such extreme levels of mako that they mutate into hideous creatures. 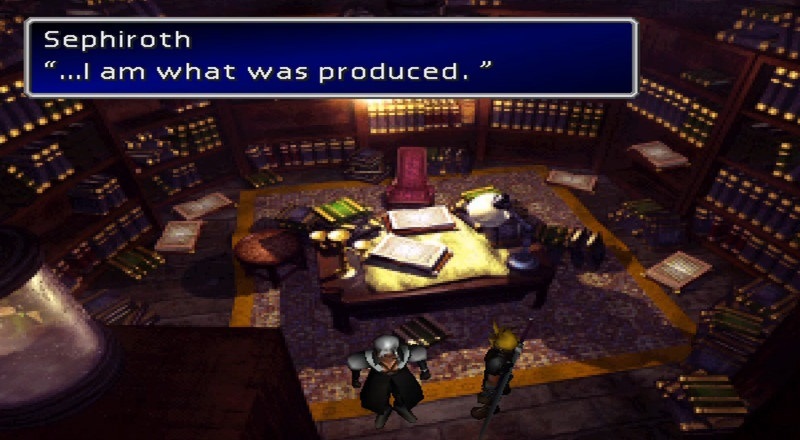 Sephiroth goes into a short speech, contemplating these ‘new’ revelations (the full knowledge of which will soon drive him insane). Here we get another good look at the giant “Jenova” sign. 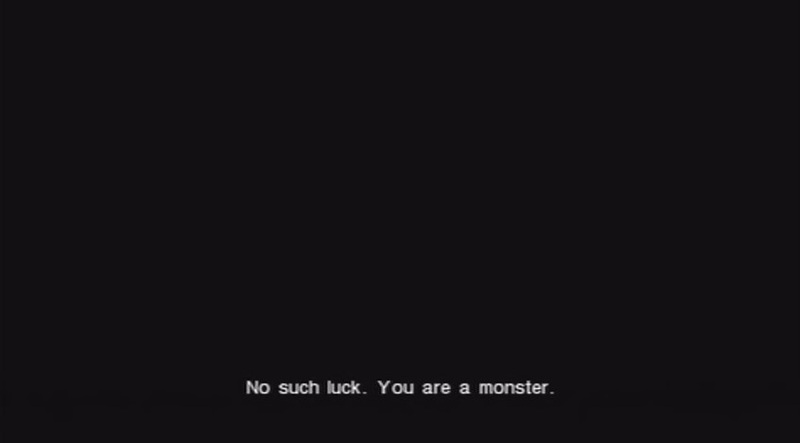 Sephiroth speaks this next line while a pod opens, fully exposing the monster inside. Sephiroth: “I was not like the others. “And the angel said unto her, Fear not, Mary: for thou hast found favour with God. And, behold, thou shalt conceive in thy womb, and bring forth a son, and shalt call his name Jesus. He shall be great, and shall be called the Son of the Highest: and the Lord God shall give unto him the throne of his father David: And he shall reign over the house of Jacob for ever; and of his kingdom there shall be no end. Then said Mary unto the angel, How shall this be, seeing I know not [have not ‘been with’] a man? 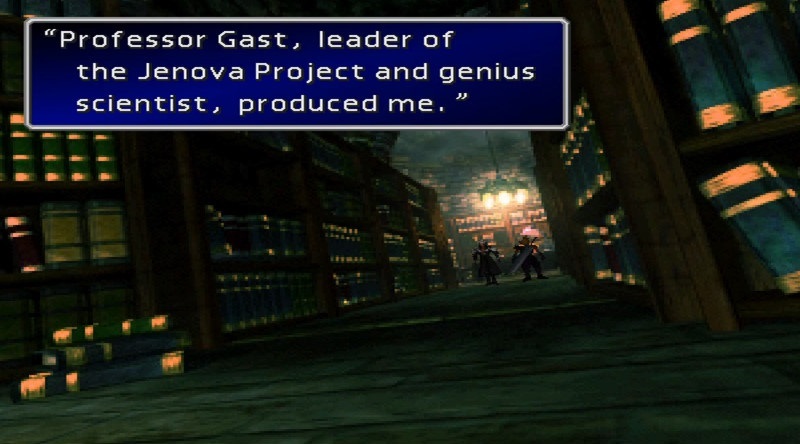 Genesis (the villain of Crisis Core: FFVII) suddenly appears, answers Sephiroth, and provides more information about the Jenova Project (which greatly contributes to Sephiroth going over the edge). There stands Genesis, with HIS single black wing and blood-red coat. He was also implanted with Jenova cells. Genesis: “You’ve never actually met your mother. Sephiroth is insensible, so Genesis stands to gain his attention. 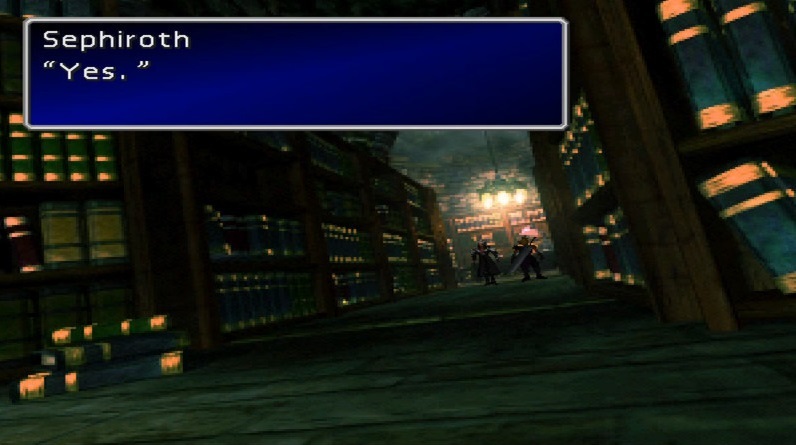 Sephiroth is jerked back to reality. And this is where things begin to get REAL interesting. Genesis tempts Sephiroth to help him-offering an apple. First, he speaks of desire. Sephiroth then does something a bit unexpected. Sephiroth strikes the apple out of smiling Genesis’ hand. 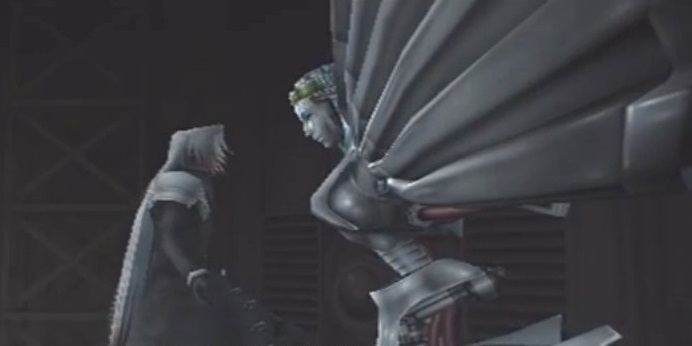 As Sephiroth turns and walks away, Genesis’ face is the picture of disappointed shock. But of the fruit of the tree which is in the midst of the garden, God hath said, Ye shall not eat of it, neither shall ye touch it, lest ye die. And the serpent said unto the woman, Ye shall not surely die: For God doth know that in the day ye eat thereof, then your eyes shall be opened, and ye shall be as gods, knowing good and evil [Just like Satan, Genesis offers knowledge, to proverbially ‘open’ Sephiroth’s ‘eyes.’ Also like Satan’s knowledge, this revelation brings death and suffering to all involved]. “And when the tempter [Satan] came to him, he said, If thou be the Son of God, command that these stones be made bread [Here’s Satan using desire as a temptation (like Genesis), as Jesus fasted for 40 days and nights before this meeting]. But he answered and said, It is written, Man shall not live by bread alone, but by every word that proceedeth out of the mouth of God. Sephiroth, like Jesus, rebuffs the temptation and throws the failure in Genesis’ face. And like Satan, when confronted with failure, Genesis departed. However, UNLIKE Jesus, the damage had already been done to Sephiroth’s psyche and he went on to commit horrible crimes like the Nibelheim Incident. Sephiroth’s final form is known as Safer∙Sephiroth. However, Sephiroth cannot immediately launch into this form. First, he must become Bizarro∙Sephiroth. The soundtrack for this form is Birth of a God. 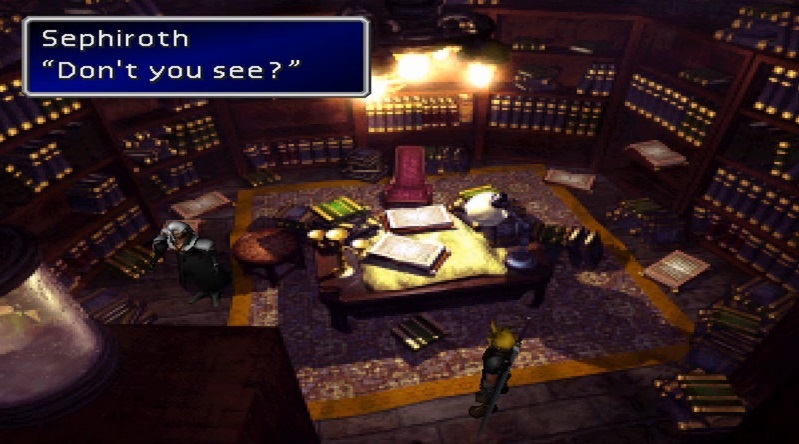 From the examinations above, we can clearly see that Sephiroth, the son of Jenova (a replacement of God), is “another Jesus.” As well as a false Christ, false savior, false god-the Devil (first explained in the conclusion of Final Fantasy and the Bible Part 1: Sephiroth). Come back next time for the conclusion of this series, One-Winged Angel Part 2! This entry was posted in Uncategorized and tagged another gospel, another Jesus, another spirit, anti-biblical, bad, Bible, christian, christianity, Crisis Core: Final Fantasy VII, demonic, Devil, evil, Final Fantasy, Final Fantasy 7, Final Fantasy 7 Remastered, Final Fantasy and the Bible, Final Fantasy Series, Final Fantasy Seven HD, Final Fantasy VII, Final Fantasy VII HD, Final Fantasy VII: Advent Children, Final Fantasy: Advent Children, gaming, God, good and evil, Jesus, Jesus Christ, judgment, KJV, kjv bible, lie, Lucifer, reborn, review, rise, salvation, Satan, satanic, Saviour Sephiroth, Sephiroth, spirit, video game, video games, video games and the Bible, videogames. Bookmark the permalink.